Tripsolver solution can bring up your online site in less than 24 Hours!! Tripsolver patented next zen technology and market first platform brings TSFares for agencies. TSFares provides exclusive fares on flights, hotels and cruises. TSFares agency services plus identity management solution’s help agencies from quick launch to growth agency. Why should i use TSFares? How does it help my Travel Agency? Yes your Travel agency is doing great but only limited to one region or segment with limited customer reach. 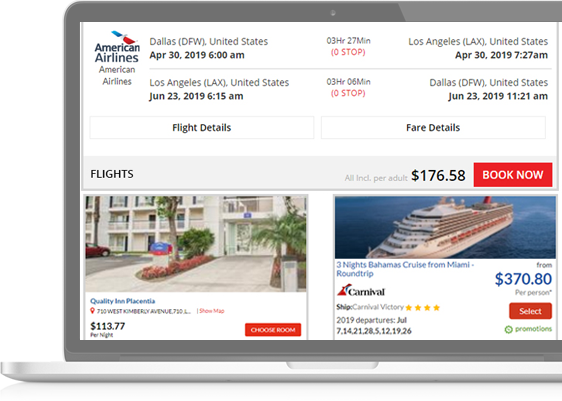 Now with TSFares and Tripsolver solutions, you can switch online in less than 24hours and reach customers all over the world. Security and chargeback are immediate problems for online agencies or OTA services. Now with Tripsolver Identity Solutions, you can rest assure and start scaling your online business to the next level. 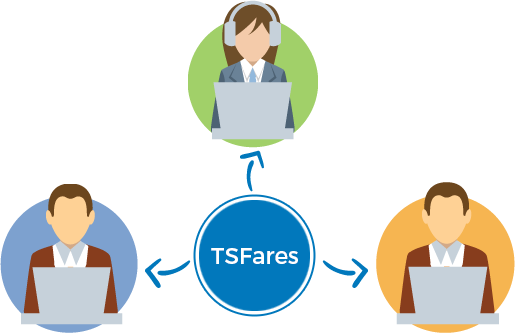 TSFares is not just about providing the best fares on Flights, Hotels ,Cruises and other products, but also provides best customer service for your bookings. Tripsolver is on your side. Your Markup is 100% yours. Setup your system for commissions or service fees as you like. Tripsolver solutions can scale up your business to the next level from TSGO to Tripxol Advanced platforms. Advanced reporting system and invoicing for your clients. Expand your business with TSFares and see the difference. *TSFares is a marketplace fare module with fulfilment from various distributors. Tripsolvers does not hold any contracts from airlines or other third party providers. Agency will agree with TSFares terms and conditions prior to activation of services. **TSFares customer service is provided as per policy and terms of conditions with reference to fulfilment service providers. Vendor fees may apply in some routes and airlines. Hotels and cruises may have some service fees. Call our agent service number to find more details and registration. Your request submitted successfully. We will review and get back to you shortly.